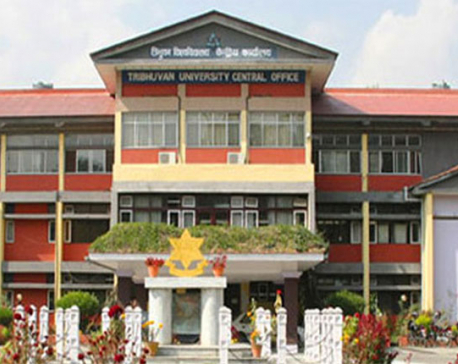 KATHMANDU, Sept 30: Tribhuvan University (TU), the oldest and biggest university in the country, does not have any records of the lands and buildings owned by college campuses to which it has granted affiliation. According to TU, there are 62 constituent campuses under the university in 22 districts, and 1,084 affiliated campuses in 72 districts. At presently, a total of 169,865 students pursue their studies at TU's constituent campuses, and 266,916 students in the affiliated campuses. TU, which granted affiliation to private campuses in large numbers after the restoration of democracy in 1991, issued the affiliations without keeping any records of the lands and buildings owned by the campuses seeking affiliation. “We don't have any records of the lands and buildings of the affiliated campuses,” said Prof Dr Tirtha Raj Khaniya, vice chancellor of TU. “We don't know how many of the affiliated campuses have their own lands and buildings,” he said. 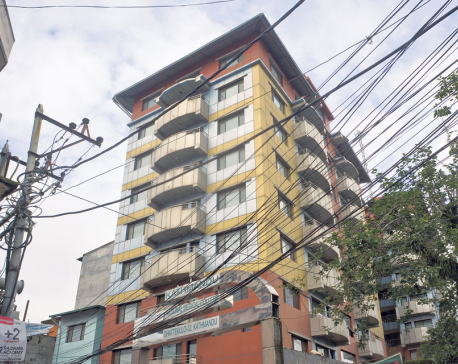 It is reported that many of the buildings at the affiliated campuses are not safe in terms of earthquake risk. Gopal Prasad Pandey, president of Public Campus Teachers' Association Nepal (PUCTAN), said that TU provides affiliations recklessly, without looking seriously at the relevent documents. “There is no definite policy and criteria regarding affiliations with TU,” he said. According to Pandey, they have asked the TU authorities to furnish categorized data on public and private campuses. “TU includes both types of campuses under the category of private campus,” he said. “Most of the public campuses have their own lands and buildings but many of the private campuses do not,” he added. Pandey further said that the TU authorities should bring in strict policies and rules to manage the affiliated campuses. “TU started granting affiliation to private campuses 36 years ago. It must stop doing so until the private campuses meet the criteria,” he added. According to the Office of the Vice Chancellor, TU recently formulated a policy under which the affiliated campuses have been given three years and five years respectively to acquire their own lands and buildings . “The affiliation of campuses failing to adhere to these rules will be annulled,” Khaniya claimed. TU was established in 1959 as the first university in Nepal. There are also regional universities in the country now and these also issue affiliation to private campuses. There are some 600 public and more than 1,200 private campuses across the country, including the TU-affiliated ones.